Technology has evolved- and with that, so has every industry and its related working methodology. Modern architecture software is capable of performing every task starting from the initial design to interior decoration, building framework and a lot more. These tools can be used to even detail every component inside a building. Further, it give you a highly accurate idea of what the finished infrastructure will be. There is plenty of architecture software in the market- but choosing one that offers an intuitive UI along with capabilities for creating sophisticated designs is a challenge. In order to help make your job easier, here is a roundup of some of the best architecture software along with what they have to offer. GenieBelt is architecture software with project management capabilities. It comes equipped with project overviews, live program management, instant analysis and reporting. Plus, you can share documents as well as an automated drawing utility. All these tools are geared towards giving the user complete control. Paid plan begin from $50/month. 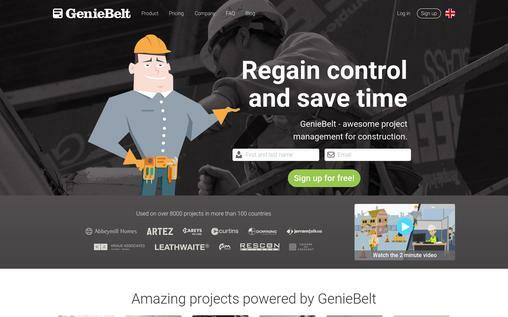 A simple yet highly functional user-interface with numerous capabilities make GenieBelt a very efficient architecture and project management utility. 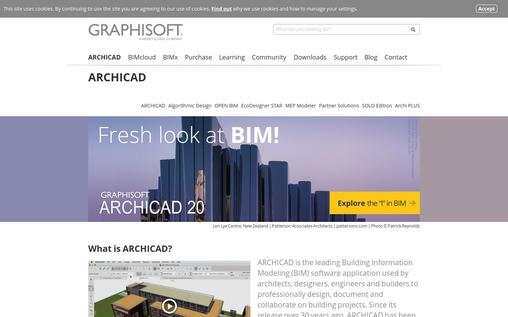 ArchiCAD is among the first of BIM or Building Information Management tools launched for architects. It can be used for 2D planning as well as 3D modelling. It has an efficient client management utility and can be used for drafting, manufacturing design data. Also, it can be used for project & proposal management. With a host of features and a history that goes back to 17 years, ArchiCAD continues to be among the most preferred tools among architects, engineers and product managers. 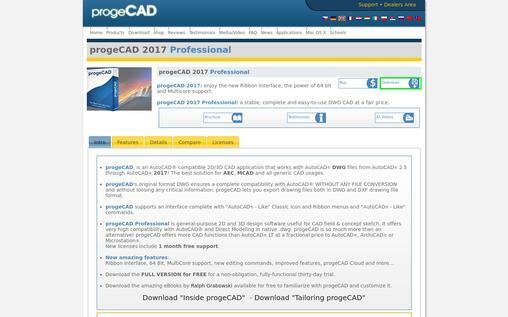 progeCAD Professional is a CAD application that can be used for 2D and 3D designs. It works with the DWG files from AutoCAD versions 2.5 to the latest 2019 release. It has commands like AutoCAD to make usage easier. Plus it comes with the ribbon interface, concept sketch, MultiCore support and a host of editing commands. For those looking to get an architecture software to compare with a range of tools across different versions, this is the best options. SketchUP Pro is a software designed for 2D/3D drafting. It aims to provide better visualization, communication and planning of construction projects. The software focuses on providing high details in the models, with precision as high as 1/1000th of an inch. This software can be used from the starting stages of the design process to the end of construction. It encompasses diagramming, programming, design detailing and a number of other features into a single suite. SketchUp Pro costs $695 USD (Lifetime purchase). It offers all the design and project execution tools that architects and product engineers could require. 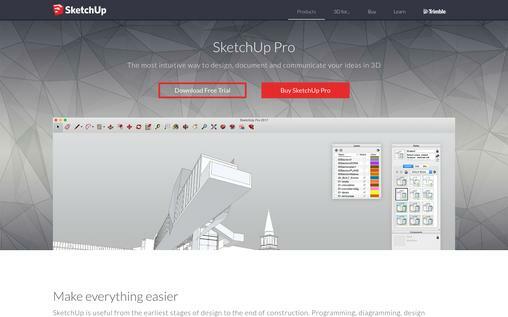 With a lifetime license and great support, SketchUp Pro is a comprehensive architecture suite for all needs. ConceptDraw Pro is a tool that comes with a host of tools for drawing, along with templates. Plus it also has custom printing solutions, object libraries and file-export capabilities. The software is highly versatile and has Live Object technology. This makes presentation and visualization even more effective. Concept Draw has been around since 1993. The only drawback of this tool is that it does not support 3D modelling at present. 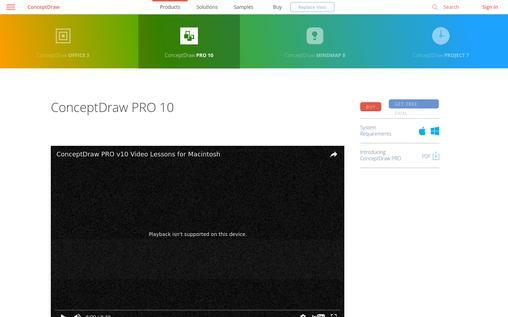 ConceptDraw PRO suite license costs $299. With a host of integration points, design and reporting tools as well as an intuitive interface. ConceptDraw PRO 10 is a highly versatile tool for design and virtualization. 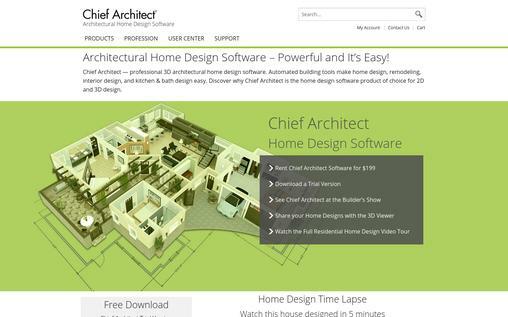 Chief Architect tool is designed for architects, designers, professionals as well as remodelers. Even those who wish to do a bit of DIY home design can make use of Chief Architect. It can be used on Mac, Windows as well as Android and iOS. The tool is can be used to make 3D home designs. It is exclusively made for residential home construction and design. Chief Architect is primarily for home-design and remodelling requirements. The 3D viewer makes it easy to share designs, and the easy-to-use interface makes it the ideal tool for home users. 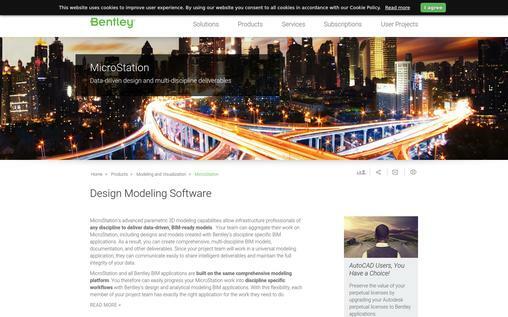 MicroStation is a CAD software that can be used for 2D as well as 3D drafting and design. Complete architectural package that provides capabilities of working with vector graphics elements. It can be used on all Windows systems from OS NT/2000 and above. It can be used for modelling, visualization, and documentation of projects. 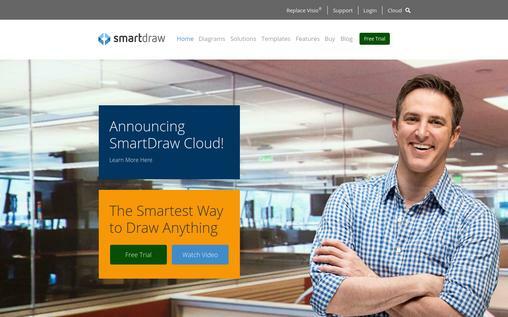 SmartDraw is one of the simplest yet effective tools in drawing and creating designs. You can use it to whip up a highly detailed plan of an office, home or the entire building. It is very easy to use and comes bundled with several thousand templates for faster design and drawing. There are also over 70 typesof diagrams, charts and other graphics that can be edited as desired. The Standard License costs $197, Business License costs $297 and the Enterprise Edition is priced at $497. A simple and easy to use tool along with integration options with many commonly used applications, SmartDraw is an effective and efficient way to create all types of designs and drawings. Envisioneer by Cadsoft is 3D home design software. It can be used by builders, architects, interior designers and even homeowners. This is an easy-to-use utility that is trying to make the process of home building seamless and simple. It is equipped with 3D BIM model design capabilities. Also, it has integration partners that allow for working between different tools and platforms. There are a host of software-types to choose from under Envisioneer to ensure that you get the right one for your requirements. $99 for Personal Architect, $895 for Pro Architect, $195 for Building Essentials and $2,495 for Construction Suite. 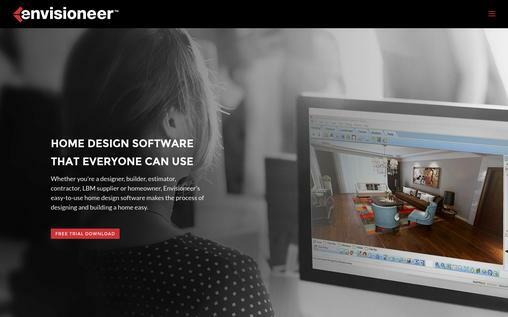 With features that will work for everyone ranging from a homeowner to professional architects, Envisioneer is a suite of architecture tools for every design and construction need. 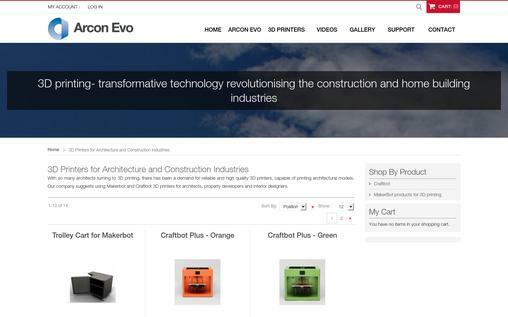 Arcon Evo is a software that aims to provide developers, & architects with a unified solution for all CAD requirements. It can be used to create highly detailed plans, cross sections, elevations and a lot more. Equipped with 3D modeling capabilities to provide quick and effective demonstrations. As a highly detailed design tool with 2D to 3D modeling capabilities, Arcon Evo is the ideal choice of architecture software for engineers, architects and building professionals. There is a large variety in terms of the capabilities of architecture software. The above list of the 10 best architecture software covers almost all the aspects of construction and architecture. And from this, you can surely find the right software to fit your specific design and construction requirements. With tools designed for all types of users- right from homeowners to building professionals, there is little that this list does not cover. You can easily find the tool that meets your needs and helps you create the best designs with utmost sophistication. Start by matching your requirement set to what the tool offers, and you will be on the right path in no time. Promote your architectural company by the means of responsive email templates, which is associated with MailGet Bolt- An affordable email marketing service.